Please contact us at info@sandbox-learning.com or call (800) 704-7815 to place small or large group orders. 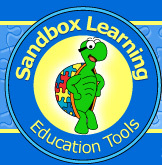 The Sandbox Learning Company accepts purchase orders. Purchase orders can be faxed to 877-562-2923. Click here for examples of how pricing works.